WASHINGTON, D.C. – Wine regulators from 21 governments met last week in Washington, D.C. to continue efforts to expand Pacific Rim wine trade by streamlining regulatory import-export requirements. 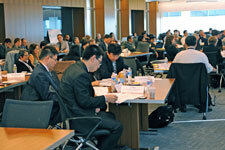 More than 140 government officials and international industry representatives convened at the Asia-Pacific Economic Cooperation (APEC) Wine Regulatory Forum's 2013 Technical Workshop to share good regulatory practices on wine certification, analysis, and winemaking practices in the growing trade region. The three-day international conference was led by Wine Institute and the U.S. government and co-sponsored by Australia, Canada, Chile, Chinese Taipei, Indonesia, Korea, Mexico, New Zealand, Papua New Guinea, Peru, Russia and Vietnam. Participants also included Argentina, Brazil, China, Georgia, India, Hong Kong, Japan, the Philippines, South Africa, Thailand and Uruguay. Wine consumption in the 21 APEC countries has more than doubled from 1990 to 2012 and wine production has flourished in many of those countries, as well. 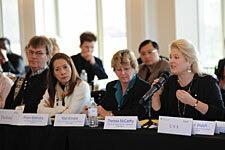 The value of APEC wine trade more than tripled, increasing from US$7 billion in 2000 to US$23 billion in 2012. APEC made up 27% of the US$84 billion total value of global wine trade last year. 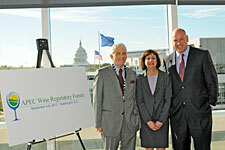 Robert P. (Bobby) Koch, President and CEO of Wine Institute, the public policy advocacy group representing 1,000 California wineries and affiliated businesses, said "The Wine Regulatory Forum assists developing countries in implementing sound, science-based regulations. The focus this past week on eliminating burdensome and duplicative regulations will significantly help reduce the costs of cross-border wine trade, stimulate demand, and increase U.S. wine exports to this important region" he added. Conduct technical discussions in China in 2014 to ensure continued progress. The 2013 Technical Workshop was part of a new U.S. sponsored, five-year project that responds to APEC leaders' call for improved regulation and builds on earlier Wine Regulatory Forum meetings in San Francisco, CA (2011) and Auckland, NZ (2012). 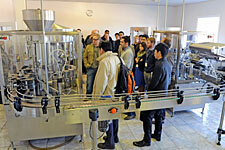 Regulators toured the U.S. Alcohol and Tobacco Tax and Trade Bureau's Beverage Alcohol Laboratory and met with the World Wine Trade Group Regulators Forum to discuss measures designed to ensure consumer safety and encourage trade. A statistical report by wine industry analyst Jon Fredrikson presented at the workshop found that APEC grape wine consumption reached 8.2 billion liters in 2012, representing one-third of total world wine consumption. In addition, the region's wine production is steadily increasing, with APEC economies now producing substantial quantities. In 2012, Chinese wineries produced 13.8 million hectoliters of grape wine, nearly double the level of wine production in 2008. APEC was established as an economic forum in 1989 in response to the growing interdependence of Asia-Pacific economies. APEC's 21 countries account for 41% of world population, 44% of global trade and 54% of world Gross Domestic Product. Top left clockwise: (From left) New Zealand Ambassador Wade Armstrong, Acting Deputy U.S. Trade Representative Wendy Cutler, Wine Institute President and CEO Robert P. Koch; APEC participants examine measures to encourage trade and ensure consumer safety in the APEC region; Assistant Administrator TTB Headquarters Operations Theresa McCarthy addresses the APEC group; APEC participants view a bottling line. Credentialed journalists and Wine Institute members requiring further information may contact the Wine Institute Communications Department.